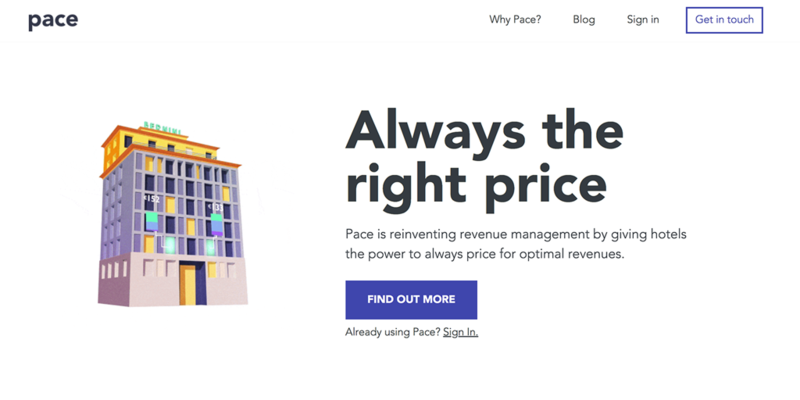 Pace was started in 2016 to give hotels the super-power to always have the right price. We’ve been using Hugo+Gulp from the very beginning and the workflow is proving to scale incredibly well with us as we grow the team and business. From the beginning, at Pace, we were focused on solving customer needs and didn’t want to over-engineer our marketing or sales. At the same time we didn’t want to lock ourselves into a Wordpress, Squarespace or the like. The ideal was a fast, simple, static site builder. When we came across Hugo we were blown away. Being a European company we wanted to be multi-lingual from the get-go and allow multiple team-members to collaborate and own their content. We also felt that a tech-company in 2018 should be capable of hosting its own blog in a simple way. Here was Hugo, that allowed us to completely separate content from layout. Our sales-team edit a markdown-file, the engineers commit and off we go – immediately deployable or pre-viewable. The only other way to have all that Hugo offers is to go down the full rabbit-hole of building your own server-side React or some such. Possibly Jekyll but again very complex to work with. The alternatives come with too much work for what should be quite simple. Hugo + Gulp + Netlify for the win! Don’t over engineer your web presence! Huge thanks to @bep and community for Hugo.